Team SHARK Racing is the biggest student engineering and innovation project in Sri Lanka, bringing glory to the country in the international arena of engineering and motorsports. 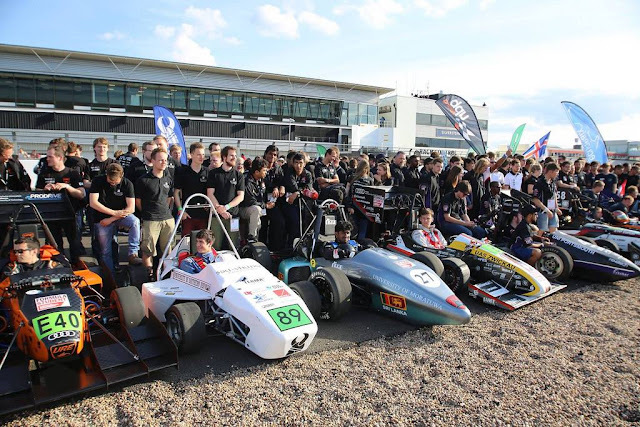 IMechE, Institute of Mechanical Engineers, the predominant international organization in the field, presents “Formula Student UK”, the competition well known for its strong demand for knowledge, skill, innovative ability accompanied by severe competitiveness, of the global student population in the field of engineering. It is worthy of notice, that Formula Student is not yet another competition. It brings together young talent all over the world, eagerly striving in designing, developing, testing and finally presenting racing cars of formula type. To win the competition, extreme engineering and innovation ability must be within the team members and the design should be within the limitations given. The critical inspection of the board of well reputed international engineers under a wide spectrum of criteria, has resulted in the competition reaching a higher level of global recognition. A team of elite talented young engineering students from University of Moratuwa, driven by a strong sense of determination and commitment brings to light the spirit of “Team Shark”. 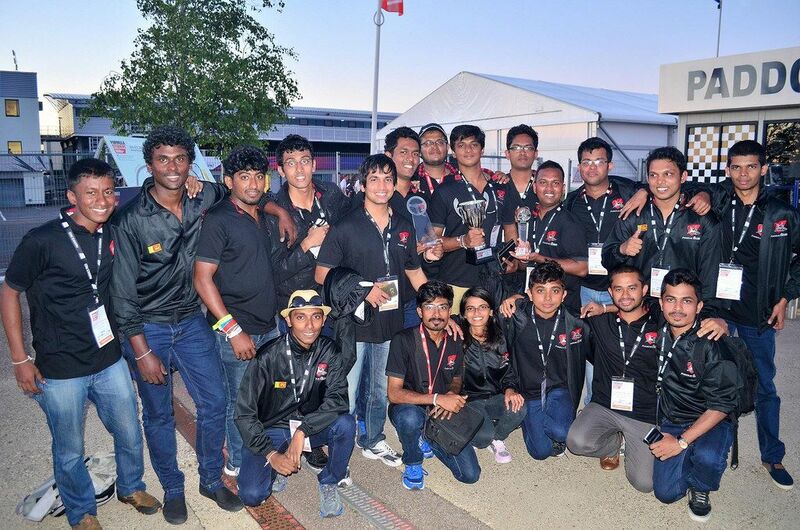 It is the only team with the glory of representing Sri Lanka in the Formula Student UK competition. Team shark has put in tireless effort over two years amidst their university curriculum of hard work, in making their dream a reality. These young talented minds will be completely designing and manufacturing a formula race car right here in Sri Lanka, finally racing it in Silverstone, UK. Formation of the team shark was a dream come true for the Department of Mechanical Engineering at the University of Moratuwa. 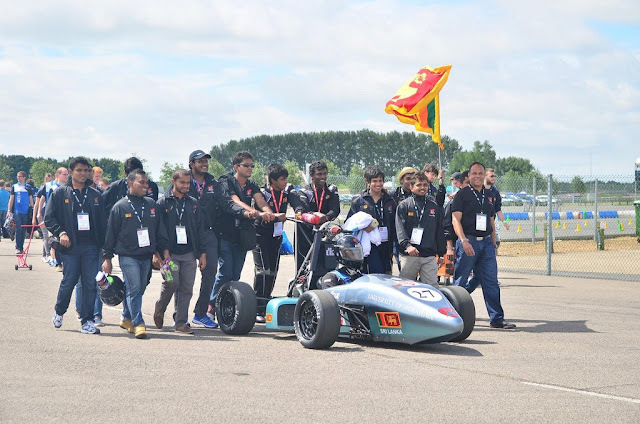 Contrary to the belief that advanced engineering is impossible in a country like Sri Lanka, the formula car came in as a shock for most of the parties, and we are glad that we could show the whole country that we are ready to compete toe-to-toe with the developed countries in the aspects of engineering and innovativeness. This massive attempt was lucky enough to grab the attention of DIMO Lanka PLC. Since 2016, DIMO Lanka has become the financial pillar of strength, being the sole sponsor for the Team SHARK racing, empowering the new breed of engineers in the country. The Team Shark marks the key milestone in year 2016, representing Sri Lanka for the very first time for the event Formula Student UK, winning three significant awards, making our motherland crown in front of the whole world. In 2017, Team SHARK developed an even more advanced racing machine as TSR-V2 using the huge amount of experience gained by the 2016 competition. Team Shark 2018, strives in the journey forward by using latest techniques and reaching well beyond the conventional engineering methods. They are innovating new ways to reduce the weight and increase the power in order to gain a higher power to weight ratio while developing new systems to assist driver to achieve the best possible lap times. Looking forward for a revolutionary year ahead, with the blessings of lessons learnt and invaluable knowledge gained over a lapse of time along with even higher targets at the formula student 2018 competition. Even at this very moment, the team courageously attempt to bring about prestige to mother Lanka in front of the whole world. As Sri Lankan's we shall bid them good fortune in their future endeavors. For more information and latest updates about Team SHARK and their innovations, please visit the official web site and social media pages.